When your narrative is set in a real location do you research it or do you visit it? What are the pros & cons of utilizing the internet to find out about a location versus actually staying there? Feel free to answer the question in the comments. Have you been asked to ‘explain’ a character trait? Were you happy to explain it or do/did you feel it took something away from the narrative? Interesting question. When readers take the time to express loathing for your antagonist, you know that you’ve done your job. As I love conversing and sharing with other writers, I have taken up the challenge. What makes you dance? The completion of a manuscript, the first sight of the new book cover and any music with a great drum beat. What is your favorite genre? Don’t really have one… I read multiple genres and write them as well. I favorite Stephen King, Kate Morton, Felix de Palma, Maeve Binchey and James Long. So you see a broad spectrum. If you could have lunch with one of the captains from Star Trek or one of the characters from Star Wars, who would you choose and why? My husband watches these shows…not really my cup of tea. Although, I am drawn to the strong female characters. B’Elanna and Seven of Nine are great levers of those around them and do not concede quickly. As for my choice of Star Trek captains, I think I would choose Captain Kathryn Janeway – she stands her ground but her decisions are emotion and instinct based, which is her strength. Which five books would you take with you to a desert island? Ferney by James Long, Under the Dome & The Stand by Stephen King, The Lilac Bus by Maeve Binchey, Thrush Green by Miss. Read. Why did you start blogging? I was encouraged to begin blogging by my publisher and members of my writing group to highlight my passion for writing and to connect with other writers and promote my novels. I enjoy the community and interaction of my blog and set a schedule and theme/topic for the year prior to New Year’s day each year. One year I utilized a desk diary word of the day and created posts every day using the day’s word. It was a lot of work but was thrilling to see where my mind went to create each post. 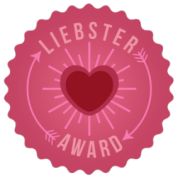 Do please link back here if you take this award – I’d love to read all your answers! Or if you don’t want to take the award, then answer some of the questions in the comments below. Let’s get to know each other! I would like to extend the invitation to my followers and these are the questions I have set. 1. If you could become a character from a novel, who would you be and why? 2. Given the opportunity where in the world would you live and why? 3. What was the first song (record, CD) you bought? 4. Which movie(s) do you wish had not been made from a book(s) and why? 5. Which era do you prefer in art? 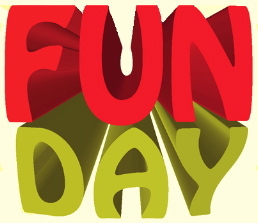 Do have fun and link back so we can find your answers or leave a comment here. Without characters our stories would have no real impact on our readers. We write to engage and intrigue them and hopefully make our protagonist the character our reader cares about. If your experience is anything like mine, there is usually one, or possibly two characters, that make their presence known in no uncertain terms. They want the starring role in our narrative. These characters are usually more defined in our minds and are ‘easier’ to relate to, whether because of a personality trait or that they are more fun to write. When creating the protagonist and antagonist in our stories, we give each opposing views and/or values. This is the basis of the conflict that carries our readers along their journey. 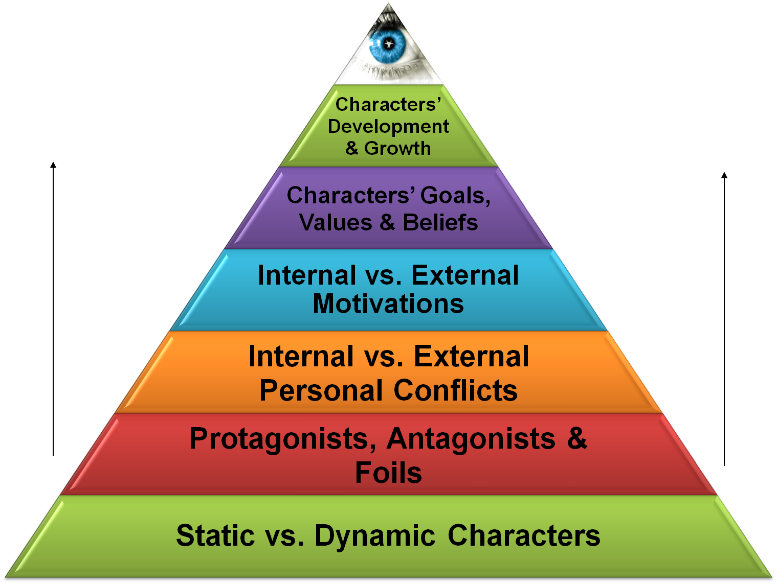 Each character, whether major or minor, needs to have flaws and redeeming features, motivations, expectations, loyalties and deterrents. 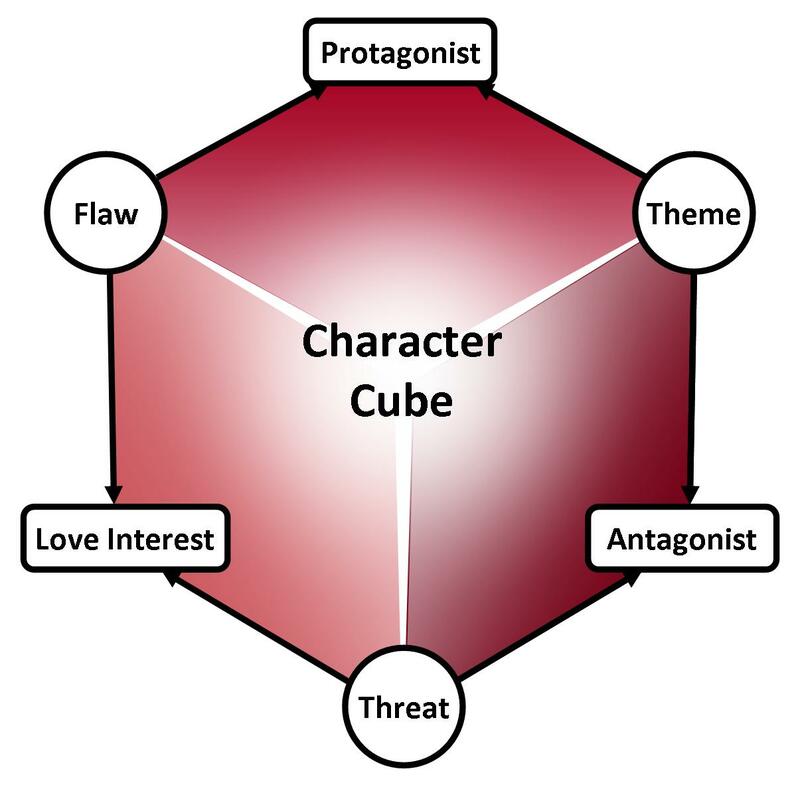 This leaves us with the problem of developing our supporting characters with as much attention to detail as the main antagonist and protagonist. When creating characters we must remember to ensure that each character acts and responds true to their given personality. Character profiles are a good way of ‘getting to know’ our characters, this can be achieve mainly by utilizing character’s names, personality traits, appearance and their motivations. A name is a vital part of creating a mental image of our character for readers. The right name can give them a quick visualization of our character’s age, ethnicity, gender, and even location, and if we are writing a period piece, even the era. For example if I say the girl was called Britney, you would probably picture a young girl because of the association with Britney Spears. However, if a female character were called Edith or Edna, you would imagine someone born several decades ago. So you see a name is not just a name. A burly man would be called something like Butch but not Shirley, unless of course you are going to tell the story of his struggle throughout childhood to overcome the name. There are plenty of web sites available, which list the most common names for each decade and locations around the world. These are great resources for writers, who require particular names for period stories or want to stay true to a certain decade. The use of a nickname will also give your character an identity, be it an unkind one given by a bully or one of respect or fear for the bully. You would expect Big Al to be just that, a large person, however, Little Mikey would be the exact opposite. Nicknames, or sobriquet’s can work very well in defining an ethnicity as well but care must be taken not to offend a person of color. Obviously there are certain words that were in common usage decades ago that are not politically correct now, so we need to be diligent in their use. We should also consider giving our characters a conscience. Will the hero question his actions if they are extreme to his morals? Does the villain have a deep-seated angst? What motivates them? Some flawed characters can be difficult to write on occasion as they are far removed from our own personality (well I certainly hope so!) but with care we can accomplish a believable character. How do you set about building a character? Do you write out a full description of your characters? Have you based a character on someone you know, a famous personality or mixed up several people’s traits to make a new one? No matter where you live low temperatures are unpleasant, however ‘low’ is relative. Low in a normally tropical location maybe a summer’s day heat in others or a dry cold can be ‘warmer’ than a ‘damp’ cold. I spent the majority of my life living in England – the green and pleasant land. However, the ‘green’ was derived from a great deal of rain. I was used to it and never took much notice of the overcast days – it was normal. When I came to live in Canada, however my first ‘surprise’ was the almost constant sunshine. I was not used to it but really loved it. 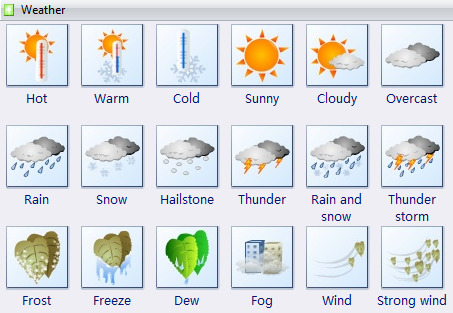 Such a simple change impacted on how I saw the weather as a whole. Now we can have -30 (and yes its cold) but we also have bright blue sky and sunshine at the same time. So the perception is a glorious day until you step outside! As the global weather patterns change more of us are experiencing unusual weather. This can be warmer winters, colder summers and everything in between. So how do we reflect this kind of change when we are writing a story set in a particular location, where the ‘normal’ view is tropical, arctic or temperate? Do we continue to use the stereo-type perceptions of the location or utilize other ‘clues’ to the region with flora and fauna, style of buildings and accents? It is a ‘new’ problem for writers, for sure, but with creativity we can overcome. Have you come across this particular problem in a recent narrative you are writing? Give me books, fruit, french wine and fine weather and a little music out of doors, played by somebody I do not know. We welcome all enquiries about the UK climate after all, we have more weather available in this country than anywhere else. Location, Location, Location – How Do You Choose Your Narrative’s Location..? Having carte blanc when it comes to the location of our narratives, we are at liberty to indulge ourselves. We can place our story and its character’s wherever and whenever we please. It can range from a favorite exotic destination to a particular era or even an extraterrestial area. There is no limit to our imaginations or preferances. How did you choose your location? The Twesome Loop, my soul’s home, Italy in particular Rome and its surrounding countryside. Life in Slake Patch, prairie lands in the future after a global war, as I now live on the Alerta prairies. The Rython Kingdom, set in medieval England because I am originally from England and love castles! Ockleberries to the Rescue, a lush woodland with a steep valley bordered with meadows and a river coursing through it. Due to my life long love of nature. Willow Tree Tears (current WIP) set in Texas, an area I have never visited but am researching. This choice was mainly due to the character being a champion barrel racer. Do you have a list of locations you want to include in your stories?